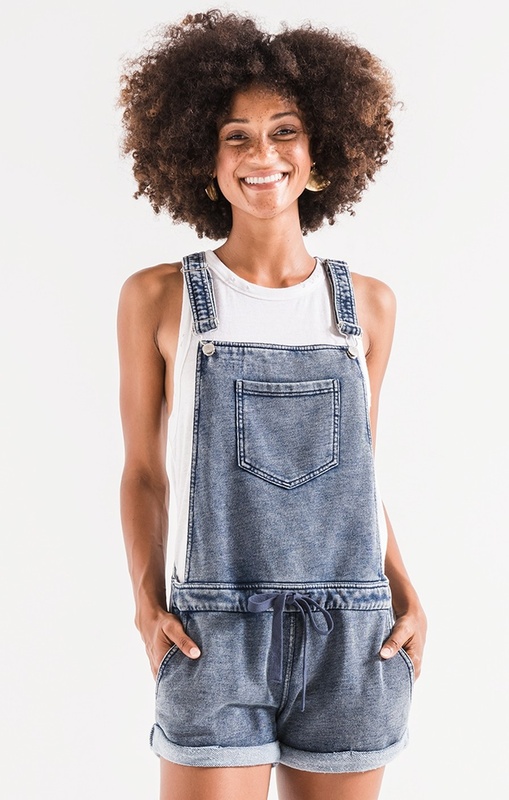 Using the popular mineral wash that gives you an effortless and chic washed denim look, Z Supply has added some new tried and true pieces to the Knit Denim collection. 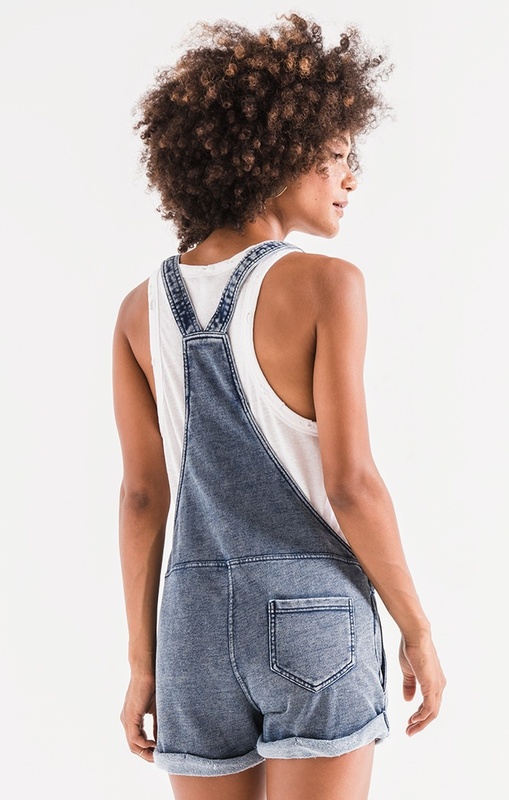 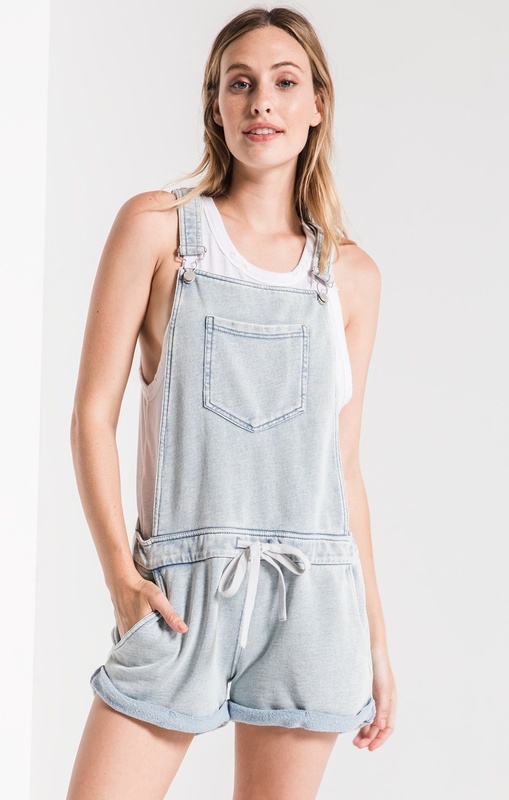 These Knit Denim french terry short overalls have features like suspender shoulder straps with metal strap adjusters, large pocket at the front chest, cinched waistband with drawcord tie at the front, side slash pockets, one back pocket, and rolled bottom hem. 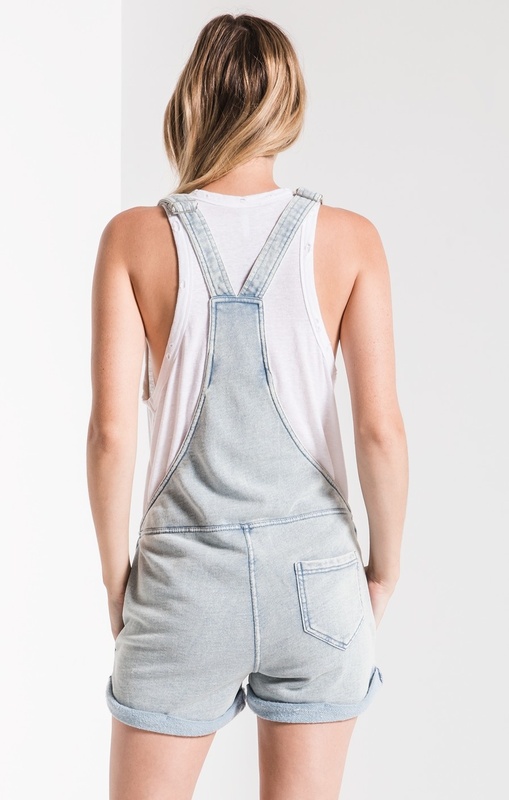 Perfect for running around, heading on vacation, or over your swimsuit.